Certain times of the year are often better for listing a home for sale than others. For example, you might not want to go on the market just before Christmas if you can help it. It's not that your home definitely won't sell during the holidays; it's that the pool of buyers will be much smaller. That means it might take longer to sell and you might get less for it than you would during an optimum time to sell. Springtime is usually considered the best time of year to list a home. There is a reason the National Association of Realtors designates the fourth weekend in April as Nationwide Open House Weekend. In some parts of the country where it doesn't snow, February or March might be an excellent time to list your home. Your local real estate agent would be your best source of information about which month in spring is best for you, and she can specifically offer tips about selling in spring. If you miss the spring market, second best is the fall market, right after Labor Day weekend. Contrary to popular belief, most people don't want to move over the summer. Summer is time for vacations, family get-togethers, kicking back, or home improvement projects that are in line with your planned fall activities. If you're being strictly analytical about it, that time is probably a week after you've paid your mortgage payment or the second week of the month. With any luck, your home should sell within the next 21 days. After you make the mortgage payment for the following month, that would be the last mortgage payment you would pay. If you are moving up and buying a new home to close concurrently, you would be closing escrow at the end of the month. Because of the way interest prorations are handled, you will not have a mortgage payment on your new home for another month. It's almost like getting a free month, even though you are paying interest. Everybody has an opinion about the best day of the week to list a home, such as your dad who voted for Monday! The problem with Mondays is that people tend to be less focused on Monday. They are adjusting to the weekend being over and trying to focus on work. Some advertising agencies will tell you that Tuesdays are much better days to break out a new campaign. But Mondays and Tuesdays are not the best days to list your home. Moreover, Mondays are often when federal holidays land. 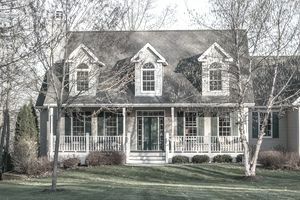 The weekend is also not a great time to list your home for sale because most people like to plan a weekend in advance. Some companies are not open on the weekends. That leaves Wednesday or Thursday or Friday. Thursdays are typically REALTORs'® day off. Busy agents who work through the weekends often try to take a mini-vacation day on Thursday. Wednesday is a good day only perhaps when it's the day before Thanksgiving; it's still hump day in many people's minds. That leaves Friday. But not just any time on Friday. The best time is 12:01 in the morning on Friday, that is, Thursday just after midnight into Friday. I like to put my listings into MLS a day or two before Friday, in a private status that only I, as a listing agent, can see. This way I can work at my leisure on making the listing perfect. I set the listing to "go live" at 12:01 a.m. on Friday. I am not still awake watching the clock on Friday; it automatically goes live, complete with all photos and every bit of marketing information at that time. I capture the people who stay up late, but more importantly, my listings will land on the computers of thousands of home buyers when they wake up Friday morning. That's because not only do homebuyers look for homes on Friday, but they receive automatic emails from their agents on Friday. The agents who have established MLS accounts for their home buyers to receive automatic listings will discover that their buyers may be calling them before the agent even knows about the listing. Not to mention, automatic listings from MLS are often released when internet traffic slows in the wee morning hours. I capture that release feed by going on the market at 12:01 a.m. When the listings hit the buyers' computers, my listing will stand out as a completed new listing, available for showing that day. The home is ready for viewing. Buyers are very motivated to check out brand new listings. Not just in seller's markets but in any kind of market. Everybody wants that squeaky clean and sparkly new home for sale. Do You Wonder if Your Sales Price Was High Enough? How Can You Take Advantage of a Sellers Market for Home Selling?